Today it's back to work. So not interested in going back to work. Now I have to wait till April 3 for my next 3 day weekend. Which is only 3 weeks away so I guess that's not too bad. My weekend was pretty fantastic. Which seems to be a pattern the last few weeks. And that is a'ok with me! - The Alamodraft House, which is a dine-in theatre, is hosting a free movies for teachers week in honor of Spring Break. It's two weeks long and so Jenny and I took advantage of that and saw not one, not two, but THREE movies this weekend. We saw Cinderella (obviously) and it was absolutely magical. I loved everything about it. The costumes, the music, the sets, the actors (hello Rob Stark!) and of course the story. We also saw Kingmen, which made me even more excited to go back to London. And finally we saw Run All Night, an action Liam Neeson movie. - Lots of snuggles with this little angel happened this weekend. She was VERY happy to have things back to normal. - Did some more practicing with my camera this weekend. Jenny and I went to this swampy bayou area and I shot some pictures of her and Maggie. And she took a few of me too! You'll be seeing my efforts later this week! - I finally climbed out from under my rock and started watching the following shows via Netflix: House of Cards, Mad Men, and Orange is the New Black. - Had some delicious BBQ from Rudy's on Saturday night. Their peach cobbler is the best! Holy moly. It doesn't even look like me! Mind you I did filter this little baby and edited it a tad but still. But I'm a fan! A big fan! Well there ya have it. Now to countdown the days till Friday. 4 more to go! My birthday is Wednesday (hello 27! ), so that should help make the week fly by! At least I hope so. Have a great Monday! Linking up with Biana! 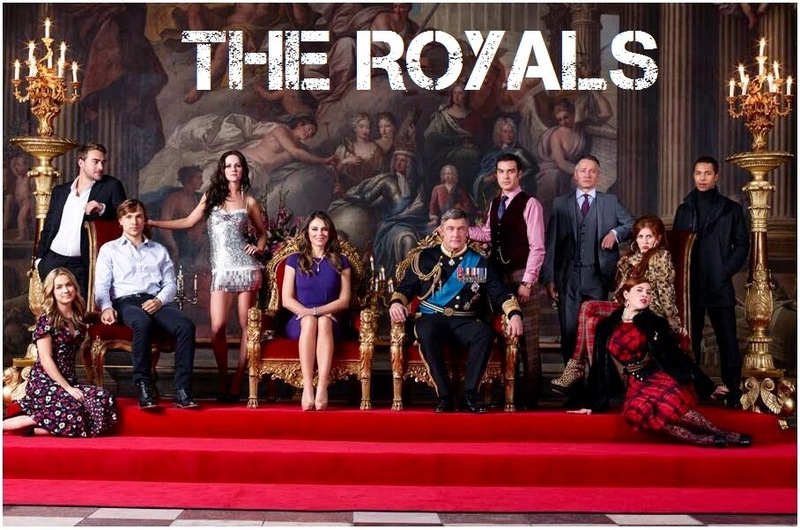 I've heard amazing things about The Royals and when I saw previews I felt like I would like it. Maybe Ill try and find it ON Demand and get watching! So glad that you had a good last weekend of your Spring break. Hopefully the week is an easy one! !